Congratulations Megan Rochleau from McGregor, Iowa. 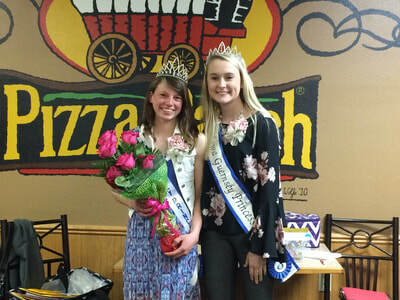 Megan is the 2018 Iowa Guernsey Princess. 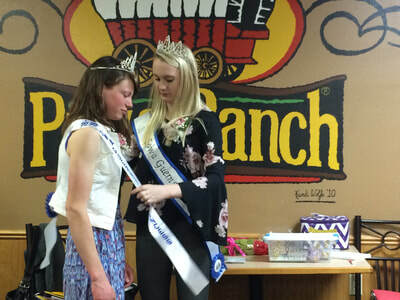 Megan was crowned by the 2017 Iowa Guernsey Princess Rachel Grober. Rachel will be competing for National Guernsey Queen in June at the 2018 National Guernsey. Greetings from the Iowa Guernsey Breeders' Association. Our membership heartily welcomes you. On this site, we highlight our hard-working and dedicated breeders and their cows. The Guernsey cow is what ties us together and gets us out of bed early each and every morning! . . . and sometimes puts us to bed very, very late at night! We also want to highlight our youth, who are the Guernsey producers of tomorrow. They are our promise for a brighter future. Please see our Youth Page for details regarding the Calf Essay Contest! If you are interested in Registered Guernseys, please contact one of our board members. They would be happy to put you in touch with a breeder. We truly enjoy working with and being around our Guernseys. We believe they can be a great asset to any properly managed dairy herd. The Iowa Guernsey Breeders will be hosting the National Guernsey Convention in Dubuque, Iowa in June 2018. This week long event “ Guernsey Scene in 2018” will welcome over 400 of our fellow Guernsey and dairy enthusiasts from across the country. 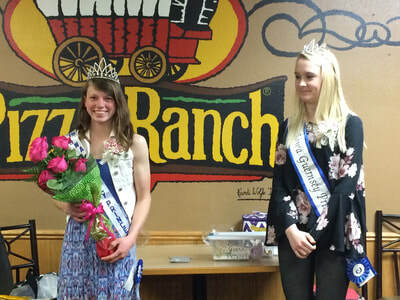 As we gather to commemorate and discuss the future of the Guernsey breed, we look to our local Iowa businesses for opportunities to promote the products and companies that keep our Guernsey Cow healthy and our dairy farms running smoothly. We are asking you to be a part sponsor and help support our National Convention. As a $2000 +Top Cream sponsor, your banners will be placed at strategic positions at the event plus you will get written acknowledgement of your support and your products. As a $25 to $500 Blue Ribbon sponsor, you will get written acknowledgement of your support.